A melodic death metal band from the Netherlands, formerly known as Infernal Dream (1997). 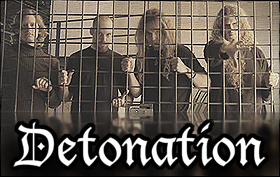 They've released three full-length albums, "An Epic Defiance" (2003), "Portals to Uphobia" (2005)and most recently "Emission Phase" (2007), one EP "Lost Euphoria" (2000) and one promo (2001). Today they celebrate 10 years.